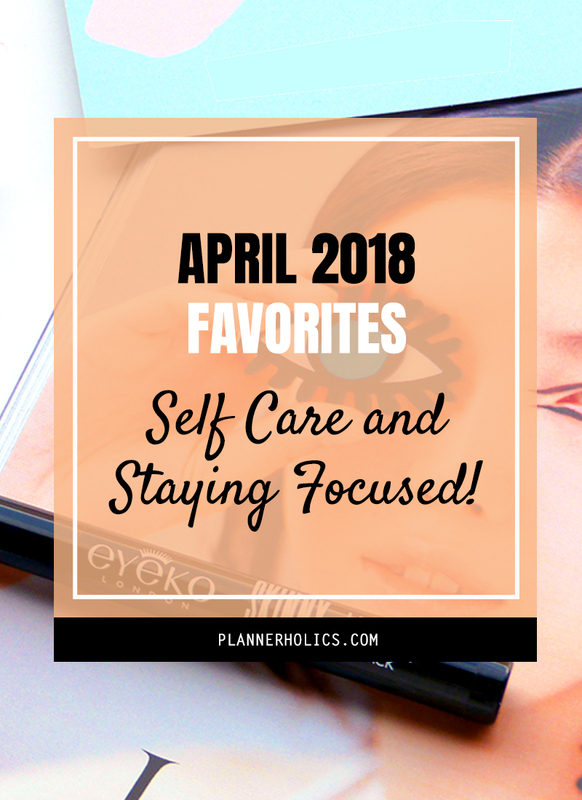 April 2018 Favorites - all about self-care and staying focused! Today I am bringing you my monthly favorites segment. Once a month I dedicate a blog post to my recent favorites, which include a variety of different things I´ve tried or experienced in multiple “life” categories during the month. I feel like my Jibun Techo hasn´t been getting a lot of love this month, and maybe it´s because I´ve been focusing on my journaling habit, but I missed my planning routine, so I had to do something about it. In order to get me motivated in using my planner again, it needed a small quick make-over. So I decided to take it out of my Traveler´s Notebook and leave it with its original cover. 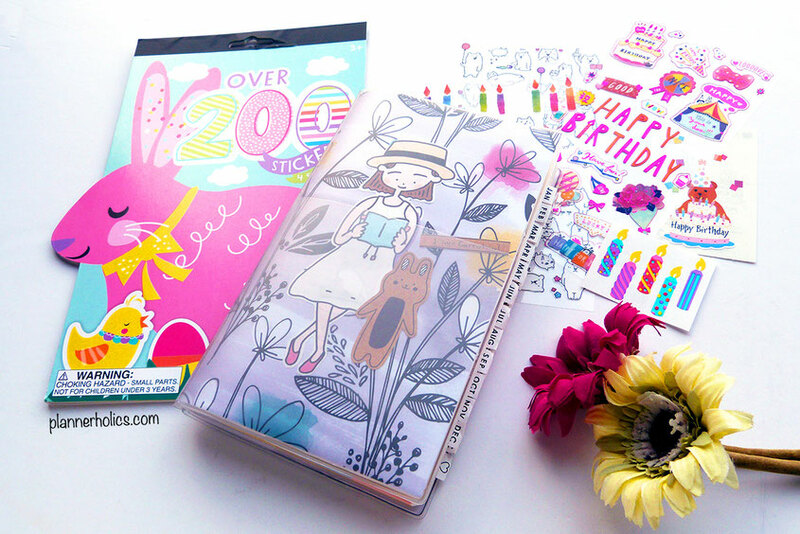 I simply switched out the stationery paper behind the clear cover, personalized it with some cute die cuts, and voilá! Now it feels completely different in my hands. It´s super light and portable, plus it has a floral vibe that really fits the current season. Sometimes just the smallest change is sufficient to get me going and letting my planner get the attention it deserves. Let me know in the comments below if you would like me to do a flip through of the inside and how I´ve used it for the first quarter of the year. 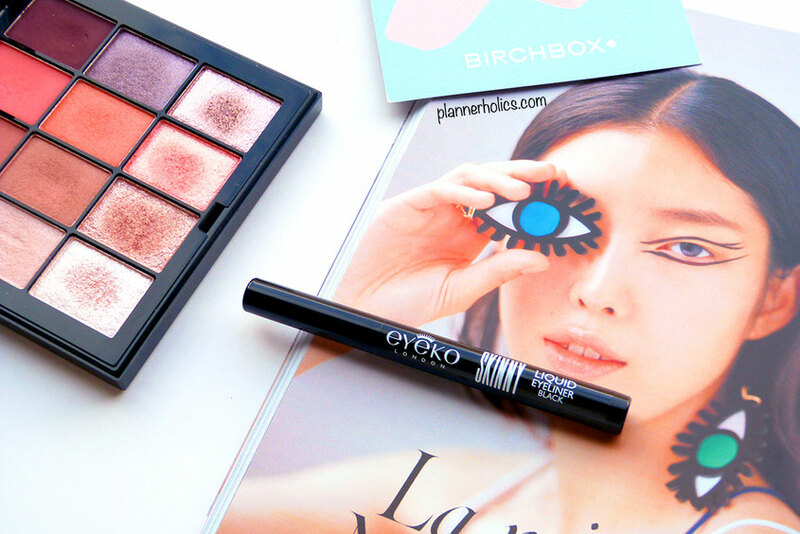 Last month, I didn´t mention it, but I subscribed to a monthly beauty box called Birchbox. Because I live in Madrid, it´s obviously the Spanish version, but I´ve read that the subscription is also available in different international countries (UK, France and USA). Because my first box came almost at the end of march, I didn´t really start using some of the products until now and boy have I made a wondrous discovery! If you´ve ever wandered around my web and read my “fun facts” from my about page, you might remember that I never leave the house without wearing at least eyeliner or mascara. So when I tried the EYEKO Black eyeliner pen that came in march´s subscription I was absolutely, irrevocably, IN-LOVE with it (using Twilight quotes here, hahaha). Eyeliner is a serious thing in my beauty collection and to this day I haven´t found one that has lasted me a while before the tip dried up or got damaged…except for this one! It´s been over a month and it´s STILL got a really pigmented black color and the tip´s thickness is perfect to get that cat-eye I adore. I´m all about reading lately, and for some odd reason, I find reading “digitally” much easier and quicker for me. I do love a good paperback in my hands, but it´s so much more comfortable to maneuver and carry a feather light 6-inch screen which stores hundreds of books. So, I received the most lovely birthday gift from the mister…. 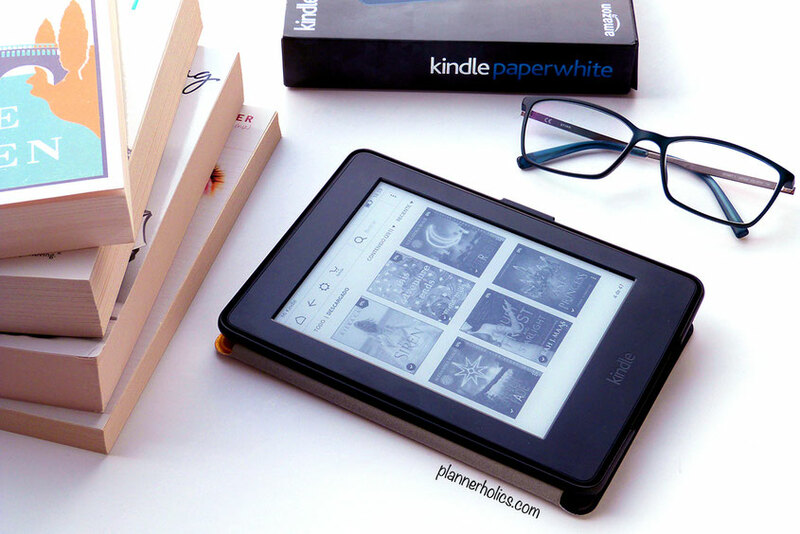 ...the Paperwhite Kindle ebook reader! I´m SOOO pleased with it. Specially because it has an integrated light on the screen, for those of us (like me) who enjoy reading from bed at night but don´t want to bother their significant other while they sleep. I bought the cutest cover as well to protect the display and edges (check it out here). I´ve inserted around 200 books, which I´m sure will last me a few years lol! But there´s a ton of cool features like an integrated dictionary, a way to add notes and highlight quotes while you read, etc. I´ve yet to discover all of them, but I can´t wait to organize and categorize all my books. (it´s the planner girl in me). With the good weather approaching, so is beach/pool season, so BIKINI OPERATION is in full swing for me. 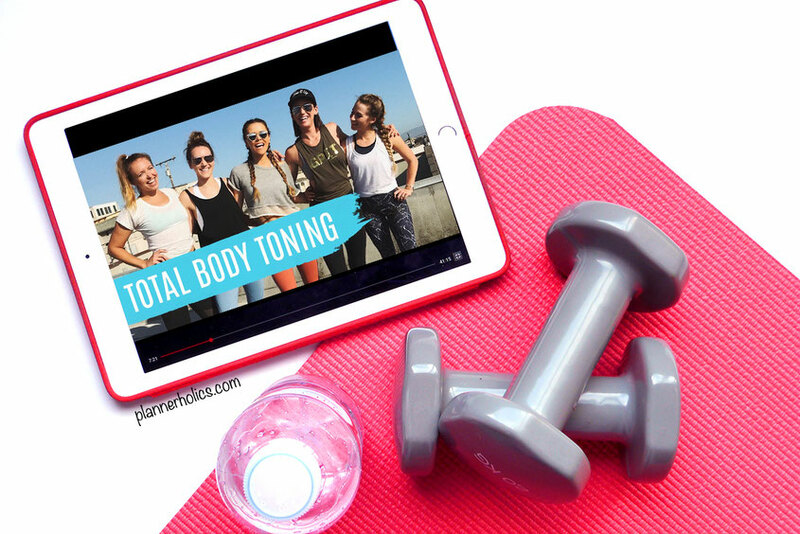 Every year I participate in Tone It Up´s Bikini series, which started this past Monday actually. However, I got a little ahead of schedule and started my serious workouts a month early. I have been doing some of my favorite workout videos, totally free on their YouTube channel, right from my living room floor. It´s just easier for me than visiting a gym, and it´s just as effective if you really put your best effort into the exercises. My absolute favorite workout is the LIVE ROOFTOP TOTAL BODY WORKOUT. It´s about 40 mins long, but it´s so intense that I love it, because it works all areas of the body (arms, abs, booty, legs). I just feel really great and accomplished afterwards. Beware of the burn though! podcast - "kombucha and colour"
On my car rides to work, I usually always listen to whatever is on the radio at the moment, however, lately I´ve been busting out some cool podcasts that are quite entertaining but also mind filling! Just this month, my favorite blogger + yogi of all time, Ché Dyer, launched her first podcast “Kombucha and Colour” alongside Anna Marsh. The podcast is all about inspiring to live a healthier life while doing the things you love. They have 6 episodes right now, and I love the freshness of them. I am really soaking up all the knowledge these two ladies have been sharing from their experiences and profession. Ché is super creative and funny and Anna, because she´s a medicine practicioner, seems to really know her facts and gives great tips, so even if you aren't into podcasts I would urge you to give a listen even if it's to brighten up your day a bit. Definitely looking forward to their weekly chats from now on. So these are just a few things I´ve been captivated by in the month of April. I would really like to know what you´ve been loving lately and if you´ve discovered any exciting things to try. Share them with me in the comments below!